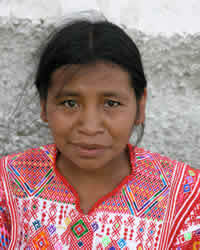 The Quiche are an indigenous Mayan group who have migrated from the mountains of Guatemala and who maintain their pre-Columbian language and culture. Their primary language is K'iche'. Many Quiche migrated to the USA to escape the brutal war that raged in Guatemala, and more have come in recent years in an effort to escape from the violence and poverty found in their homeland. Many migrants come from small farming communities and have had limited formal education. The primary religion practiced by the Quiche is ancient ethnic Mayan religion rooted in the reverence of their ancestors and spirits in nature. Mayan religion is expressed through traditional rites, customs, and worldview, and conversion to Christianity essentially equates to cultural assimilation. Pray for Quiche believers to boldly proclaim the gospel to their people. Pray for more workers for the harvest, both for the Quiche in the United States, as well as those in Guatemala and Mexico.